Bell Canyon Truck Accident Injury Lawyers – Almost Four Decades of Experience You Can Trust! Are You Looking for an Experienced Truck Accident Injury Lawyer in Bell Canyon, California? Being involved in a truck accident can leave you struggling with serious injuries that may permanently affect your health and finances. If you or your loved one has been involved in a truck accident in Bell Canyon, Ventura County, or if you have a wrongful death claim due to death of a family member in a truck crash or any other accident in Bell Canyon or Ventura county, you should contact an experienced truck accident injury lawyer now to be sure you do not miss any time deadlines or overlook any of your rights. For over three decades, our experienced team of personal injury and truck accident injury lawyers has been successfully representing truck accident victims and victims of car, motorcycle, bicycle, dog bites and horse accident injuries. We help truck accident and other victims pursue their rights and the proper administration of justice. Please visit our Truck Injury Accident Advice Page to learn more about the truck accident injury claims process, call us now for a FREE case evaluation about your specific truck accident case and learn more about our personal injury attorneys by visiting our home page. Bell Canyon is a very affluent residential community located in Eastern Ventura County and near West Hills, Woodland Hills, the City of Calabasas and the western San Fernando Valley of Los Angeles, California. Bell Canyon states that it is 1,700 acres of winding streams, plentiful wildlife and rich California history -- a community connecting people with nature and each other. According to the 2010 U.S. Census, the population of Bell Canyon was approximately 2,049. Only minutes from the Los Angeles city limits, Bell Canyon is like a separate rural community with riding trails and horses. 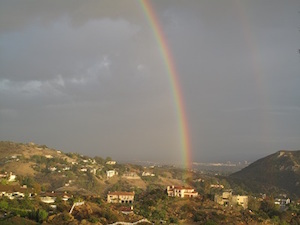 Some notable celebrities residing in Bell Canyon include actor Bruce Campbell, musician\actor Katie Cassidy, and television director and producer Guy Bee. Traumatic Brain Injury – TBI or Traumatic Brain Injury can result from objects making direct contact with the skull or head, such as air bags, windshields and other objects. Such injuries can cause permanent brain impairment. Spinal injury – Spinal injuries can be extremely serious and can lead to partial or total paralysis. Back injury - Truck accidents can result in herniated disc or other back injuries. Some of these injuries require surgery, such as a fusion or lamnioplasty, years of physical therapy and pain management to heal. Burns - Fires caused by leaking fuels, flammable cargo, and other causes can be extremely painful and disfiguring. Many victims of truck accidents decide to let their insurance companies handle the case, but this is more often than not a mistake. Our experienced truck accident personal injury lawyers and wrongful death law firm possess years of experience in resolving personal injury and wrongful death cases in Bell Canyon, Calabasas, Woodland Hills, West Hills, Ventura, Los Angeles, the San Fernando Valley, Ventura and all throughout California. Call us now at 1-866-INJURY 2 or 866-465-8792 or 818-222-3400 (after hours, press 1) for a FREE, no-obligation consultation & case evaluation. Additionally, you can also email us at info@WalchLaw.com, or fill out our contact us form to learn about your options and rights.